Millions of Americans each year face vision loss related to diabetes. In fact, according to recent data from the U.S. Centers for Disease Control and Prevention (CDC), nearly 26 million Americans — roughly 8.3 percent of the U.S. population — have diabetes, and more than 28 percent of diabetics age 40 or older in the U.S. have diabetic retinopathy (DR) and related diabetic eye disease. 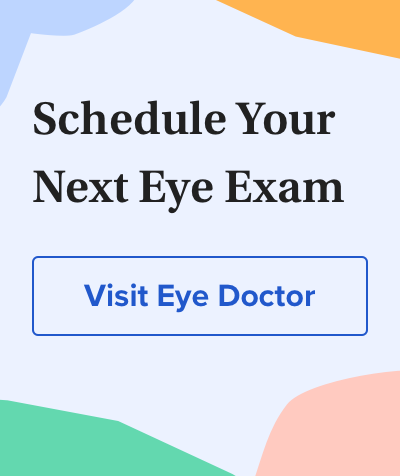 To make matters worse, a significant number of cases of diabetes and diabetic eye disease go undetected or untreated because people fail to have routine comprehensive eye exams as recommended by their optometrist or ophthalmologist. Most laser and non-laser treatments for diabetic eye disease depend on the severity of the eye changes and type of vision problems you have. Diabetic retinopathy is diabetes-related damage to the light-sensitive retina in the back of the eye. As diabetes progresses, chronic high blood sugar levels cause changes that damage the tiny blood vessels in the retina, which makes them leak fluid or hemorrhage (bleed). Eventually, this leads to vision problems that cannot be corrected with eyeglasses or contact lenses. If you have a diabetic vitreous hemorrhage, you may require a vitrectomy to remove the clear, gel-like substance in your eye's interior. The appearance of diabetic retinopathy is associated with the proliferation of a protein called vascular endothelial growth factor (VEGF) in the retina. VEGF stimulates the production of new blood vessels in the retina to bring more oxygen to the tissue because retinal blood circulation is inadequate due to diabetes. Unfortunately, these tiny new blood vessels that form in the retina in response to VEGF are fragile and increase in number, leading to additional fluid leakage, bleeding and scarring in the retina and progressive vision loss. Blood vessel leakage from diabetic retinopathy can cause fluid to accumulate in the macula, which is the most sensitive part of the retina that is responsible for central vision and color vision. This condition — called diabetic macular edema (DME) — is the primary cause of vision loss associated with diabetic retinopathy and is the leading cause of new cases of blindness in adults ages 20 to 74 in the United States, according to CDC. ). Other lasers eliminate abnormal blood vessels that form from neovascularization. Lasers also may be used to intentionally destroy tissue in the periphery of the retina that is not required for functional vision. This is done to improve blood supply to the more essential central portion of the retina to maintain sight. The peripheral retina is thought to be involved in formation of VEGF responsible for abnormal blood vessel formation. When cells in the peripheral retina are destroyed through panretinal photocoagulation (see below), the amount of VEGF is reduced, along with the potential to produce abnormal retinal blood vessels. that are essential for detailed vision and color perception. However, some peripheral vision could be lost due to this treatment. Focal or grid laser photocoagulation. This type of laser energy is aimed directly at the affected area or applied in a contained, grid-like pattern to destroy damaged eye tissue and clear away scars that contribute to blind spots and vision loss. This method of laser treatment generally targets specific, individual blood vessels. Scatter (panretinal) laser photocoagulation. With this method, about 1,200 to 1,800 tiny spots of laser energy are applied to the periphery of the retina, leaving the central area untouched. to provide images of the eye's interior. These images accurately guide application of laser energy, which helps "dry up" the localized swelling in the macula. A fluorescein angiogram also can identify the location of blood vessel leakage caused by proliferative diabetic retinopathy. While laser treatment for diabetic retinopathy usually does not improve vision, the therapy is designed to prevent further vision loss. Even people with 20/20 vision who meet treatment guidelines should be considered for laser therapy to prevent eventual vision loss related to diabetes. Laser treatment typically requires no overnight hospital stay, so you will be treated on an outpatient basis in a clinic or in the eye doctor's office. Make sure you have someone drive you to and from the office or clinic on the day you have the procedure. Also, you'll need to wear sunglasses afterward because your eyes will be temporarily dilated and light sensitive. Before the procedure, you will receive a topical anesthetic or possibly an injection adjacent to the eye to numb it and prevent it from moving during the laser treatment. A laser treatment typically lasts at least several minutes, but more time may be required depending on the extent of your eye condition. During laser treatment, you might experience some discomfort, but you should feel no pain. Right after a treatment, you should be able to resume normal activities. You might have some discomfort and blurry vision for a day or two after each laser treatment. The number of treatments you need will depend on your eye condition and extent of damage. People with clinically significant diabetic macular edema may require three to four different laser sessions at two- to four-month intervals to stop the macular swelling. Though the specific mechanism by which laser photocoagulation reduces diabetic macular edema is not fully understood, a landmark study called the Early Treatment Diabetic Retinopathy Study (ETDRS) showed that focal (direct/grid) photocoagulation reduces moderate vision loss caused by DME by 50 percent or more. In December 2011, Iridex Corporation announced the results of a 10-year study of the company's MicroPulse laser therapy for treating DME. The study data showed the new micropulse technology was at least as effective as conventional laser photocoagulation in the treatment of macular edema, with less risk of thermal damage and scarring to the surrounding retinal tissue. If you have proliferative diabetic retinopathy (PDR) — meaning that leakage of fluid has begun in the retina — the laser treatment should take from 30 to 45 minutes per session, and you may require up to three or four sessions. Your chance of preserving your remaining vision when you have PDR improves if you receive scatter laser photocoagulation as soon as possible following diagnosis. Early treatment of PDR particularly is effective when macular edema also is present. Injection of corticosteroids or other medications into the eye — either directly or in the form of an injectable implant — is often recommended over laser procedures for the treatment of diabetic macular edema. Or in some cases, a combination of drug injections and laser treatment may be recommended. In this video, Rep. James Clyburn asks African-American diabetics to get annual eye exams. As diabetic retinopathy worsens, in addition to VEGF, other small "signal" proteins (cytokines) are released by cells, causing additional inflammation in the retina that can cause or worsen DME. Corticosteroids have been shown to have a beneficial effect by decreasing the amount of VEGF and other inflammatory cytokines produced by cells (a process called "downregulation"), which can lead to a reduction of diabetes-related macular edema. Though the following medications reduce levels of several proteins associated with inflammation, they are generally classified as "anti-VEGF" medicines. Iluvien is a tiny implant that delivers a sustained, slow release of a corticosteroid (fluocinolone acetonide) to treat diabetic macular edema. It is prescribed for patients who previously have been treated with corticosteroids and did not have a clinically significant rise in intraocular pressure (a potential side effect of corticosteroid use). Iluvien received FDA approval in September 2014, based on clinical trial data that showed that patients receiving the implant demonstrated a statistically significant improvement in visual acuity within three weeks of the procedure, compared with a control group; and at 24 months after the procedure, 28.7 percent of patients showed an improvement in visual acuity of 15 letters or more on a standardized eye compared to baseline (prior to undergoing the procedure). According to Alimera Sciences, a significant advantage of Iluvien over other treatments for DME is the longevity of its effect: Iluvien is designed to provide a sustained release of corticosteroid medication for 36 months (three years), compared with other treatments that last only a month or two. Ozurdex, another FDA-approved implant for DME treatment, releases a sustained dose of dexamethasone (a corticosteroid) to the retina. In September 2014, Ozurdex received approval for all patients with diabetic macular edema. Previously, the device was approved to treat DME only among adult patients who also previously had or were scheduled to have cataract surgery with intraocular lens (IOL) implantation. The Ozurdex implant also is FDA-approved for treatment of posterior uveitis and for macular edema following branch retinal vein occlusion (BRVO) or central retinal vein occlusion (CRVO) — two types of eye strokes. Lucentis (ranibizumab), marketed by Genentech, gained FDA approval for the treatment of diabetic macular edema in 2012 and was approved for the treatment of diabetic retinopathy (with or without DME) in April 2017. Approval of Lucentis to treat DME was based on clinical trials that showed up to 42.5 percent of patients who were given monthly eye injections of the drug gained at least 15 letters in best corrected visual acuity (BCVA) on a standard eye chart two years after initiation of the treatment, compared with 15.2 percent of patients in a control group. Another study found that Lucentis injections and Lucentis injections combined with laser photocoagulation both were significantly more effective than laser treatment alone for the treatment of DME. Approval of Lucentis for the treatment of diabetic retinopathy with or without DME was based on results of multiple clinical studies that showed the drug demonstrated a significant improvement of patients' diabetic retinopathy, according to Genentech. Eylea (aflibercept) is another anti-VEGF drug that is FDA-approved for the treatment of DME. It is also approved for treatment of advanced age-related macular degeneration (AMD) and macular edema following retinal vein occlusion. The FDA's approval of Eylea for DME treatment was based on one-year data from two studies of 862 patients, which evaluated eye injections of 2 mg of Eylea administered either monthly or every two months (after five initial monthly injections). Results were compared with patients who were treated solely with laser photocoagulation (once at the beginning of the study and then as needed). The two Eylea treatment protocols produced similar outcomes, which were significantly better than those produced by laser treatment. Patients in both Eylea treatment groups gained, on average, the ability to read approximately two additional lines on an eye chart, compared with almost no change in visual acuity in the control group. The recommended dose for Eylea is 2 mg administered by injection into the eye every two months (following five initial monthly injections).
" for the treatment of DME. Retisert is designed to deliver corticosteroid therapy inside the eye for up to 2.5 years, according to Bausch + Lomb. The device is implanted into the eye through a surgical incision in the sclera. Risks associated with intraocular steroid treatment for DME include steroid-induced cataracts and glaucoma. Vision loss from cataracts usually can be restored with cataract surgery. To reduce the risk of glaucoma, your eye doctor might recommend preventive use of glaucoma eye drops or even glaucoma surgery. (vitreous hemorrhage) makes laser photocoagulation treatment impossible because the blood obscures the surgeon's view of the retina. If the vitreous hemorrhage fails to clear within a few weeks or months, a vitrectomy surgery may be performed to mechanically remove the hemorrhage — after which, laser photocoagulation can be applied. The laser procedure is performed either at the time of the vitrectomy or shortly thereafter. Retinal bleeding and vitreous hemorrhage also can cause bands of scar tissue to form. These bands of scar tissue can shrink and — if attached to the retina — can cause the retina to pull away from its base to create traction. This traction may lead to retinal tears or possible retinal detachments. If you experience a tractional detached retina as part of PDR and shrinking scar tissue that tugs at the retina, you usually will be scheduled promptly for a procedure to reattach the retina. ETDRS guidelines show that type 2 diabetics in particular can reduce their chance of severe vision loss and the need for vitrectomy surgery by about 50 percent when proliferative diabetic retinopathy is treated before it reaches a high-risk stage. Some individuals with diabetic macular edema may experience reduced symptoms and improved vision after treatment with corticosteroid medication delivered to the eye via eye drops rather than an intraocular implant. In a study published in Acta Ophthalmologica in November 2012, researchers found that patients with diffuse DME who used Durezol emulsion eye drops (Alcon) four times a day for one month had reduced retinal swelling and a significant improvement in visual acuity, compared with similar DME patients who did not use the eye drops. Durezol is a corticosteroid eye drop used primarily for the treatment of inflammation and pain associated with eye surgery. The study authors concluded that use of Durezol eye drops is a useful and effective treatment for diffuse DME without surgical intervention and the associated risk of potentially severe side effects. FDA approves Genentech's Lucentis (ranibizumab injection) for diabetic retinopathy, the leading cause of blindness among working age adults in the United States. Press release issued by Genentech in April 2017. Alimera Sciences provides details on FDA approval of Iluvien as the first long-term treatment for diabetic macular edema. Press release issued by Alimera Sciences in September 2014. Allergan announces FDA approves revised indication for Ozurdex (dexamethasone intravitreal implant) 0.7 mg for the treatment of diabetic macular edema. Press release issued by Allergan in September 2014. Allergan receives FDA approval for Ozurdex (dexamethasone intravitreal implant) 0.7 mg as treatment option for use in certain patients with diabetic macular edema. Press release issued by Allergan in June 2014. Treatment of diffuse diabetic macular oedema using steroid eye drops. Acta Ophthalmologica. November 2012. FDA approves Lucentis to treat diabetic macular edema. FDA press release issued in August 2012. Dexamethasone drug delivery system (Ozurdex) for the treatment of refractory diabetic macular oedema: retrospective case series analysis. Acta Ophthalmologica. Published online ahead of print in August 2012. Ranibizumab for diabetic macular edema: results from 2 phase III randomized trials: RISE and RIDE. Ophthalmology. April 2012. Long-term safety, high-resolution imaging, and tissue temperature modeling of subvisible diode micropulse photocoagulation for retinovascular macular edema. Retina. Published online ahead of print, November 2011. The RESTORE study: ranibizumab monotherapy or combined with laser versus laser monotherapy for diabetic macular edema. Ophthalmology. April 2011. National Diabetes Fact Sheet: National estimates and general information on diabetes and prediabetes in the United States, 2011. U.S. Department of Health and Human Services, Centers for Disease Control and Prevention. 2011. Effects of intensive glucose lowering in type 2 diabetes. New England Journal of Medicine. July 2010. Diabetic retinopathy. Cleveland Clinic: Current Clinical Medicine, 2nd ed. 2010. Serous detachment of the neural retina. Ophthalmology, 3rd ed. 2008. Comparison of the Modified Early Treatment Diabetic Retinopathy Study and mild macular grid laser photocoagulation strategies for diabetic macular edema. Archives of Ophthalmology. April 2007.